Explorations in Quilting and Life: Success! 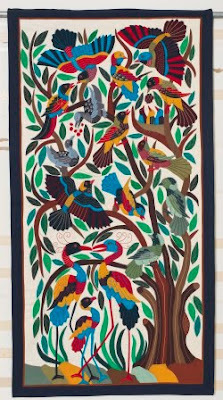 Earlier in February, I wrote a post about funding need for a film on the Tentmakers of Chareh El - a group of Egytians who make in credible appliqué hangings. I am delighted to report that the necessary funding has been raised! Thank you if you helped in reaching the goal. If not, the fundraising will continue for another week and you can still contribute. Additional funds mean a higher quality product. I saw; I posted; I donated. So glad it's coming to fruition!